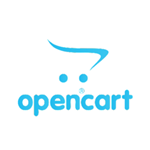 The customizable nature of OpenCart makes it a perfect platform on which to build your online store. To supercharge it and open up to new, international markets, simply integrate it with Localizer. Using a line of code you can translate your OpenCart and serve it in up to 180 languages. Go global with a translated OpenCart platform. How can Localizer translate OpenCart?